David L. “Dave” Benedict, 72, of Dubuque, IA, passed away surrounded by friends and family on April 10th, 2019 at MercyOne Medical Center in Dubuque due to complications from cancer. 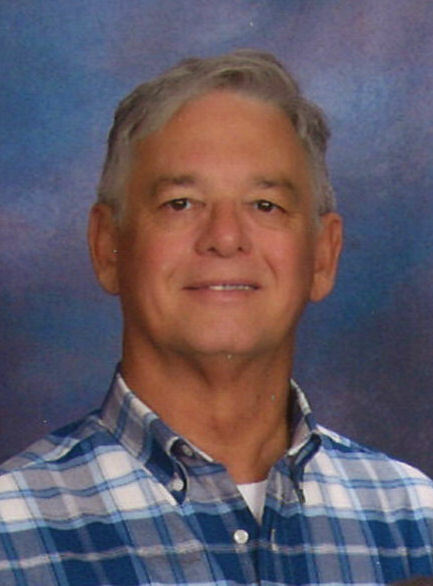 Visitation for Dave will be held at Hope Church (Kennedy Campus) on Monday, April 15th, 2019 from 3:00 p.m. to 7:00 p.m. Funeral services will be held on Tuesday April 16th, 2019 at 11:00 a.m. at Hope Church where family and friends may also gather after 10:00 a.m. until time of service. Leonard Funeral Home & Crematory, Dubuque, Iowa is in charge of arrangements. Dave was born, august 21st, 1946 in Lincoln NE, the son of Lawrence and Shirley Benedict. His father served with the United States Air Force as a M/SGT. During his father’s service the family traveled to many states and spent many years in the country of El Salvador. Dave graduated in 1964 from The American High School in San Salvador, El Salvador. He then graduated from the University of Nebraska in 1971. He then lived in Des Moines, IA from 1973 to1999. Dave worked as the director of the Iowa Property Management Center with the General Services Administration for 28 years. He retired from federal service and moved to Dubuque, IA in1999 where he was a pilot for Chartaire for several years and flew over 10 Angel Flight Missions during that time. Dave also went to Honduras twice and also Haiti for mission trips. Dave married Mary (Skahill) Hohensee on November 20th 1999 at the Little Brown Church in the Vale in Nashua, IA. Dave was avid lover of aviation. He had a passion for flying and was proud volunteer for the EAA. 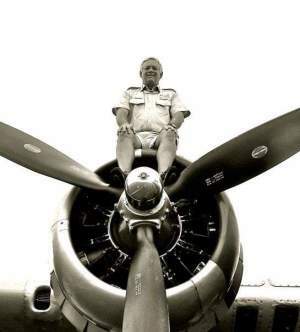 Dave served as a tour coordinator for the B-17 Aluminum Overcast Program for 13 years. He was a member of the Quiet Birdmen, an aviation society. Dave helped construct the blacksmith shop at the National Mississippi River Museum where he volunteered. Dave was passionate reader and had a strong love of history, especially of the world war era. He was Cornhusker fan and was a ski instructor at Sundown Mountain Resort. He loved fishing, traveling with his wife, and spending time with his family. Dave is survived by his wife of 20 years, Mary; His 5 children: Jennifer (Greg) Moore of Bondurant, IA, Lisa (Aaron) Clayton of Bondurant, IA, Alan (Sabriya) Benedict of Pleasant Hill, IA, Lisa (Jeff) Maiers of Madison, WI, and Michael (Tess) Freiburger of Dickeyville, WI. 10 grandchildren: Marshall and Delaney Moore; Mackenzie, Libby, and Eli Clayton; Adnan, Dawud, and Ibrahim Benedict; and Jackson and Lauren Maiers. His sister, Teena (Dean) Faubel of Lincoln, NE. 2 Brothers-in-law: Mike (Barb) Skahill of Dubuque, IA, and Pat (Sandy) Skahill of East Dubuque, IL. His nephew Andrew (Michelle) Faubel and nieces Elaine (Mat) Zutavern, Christy Skahill, and Angie Lesch and the mother of Jenny, Lisa, and Alan: Jean Roiland. And also his beloved kitties: Simba and Tom-kitty. Dave was preceded in death by his father Lawrence Benedict, his mother Shirley (Benedict) Ikerd, his stepfather Glen Ikerd, his aunts, Norma (Sam) Nelson, and Nancy (John) Holmes. In lieu of flowers a David L Memorial fund will be established. The family would like to thank the Dubuque Fire & EMS and Police Dept. as well as the Emergency room staff at MercyOne Medical Center for their efforts and compassion.